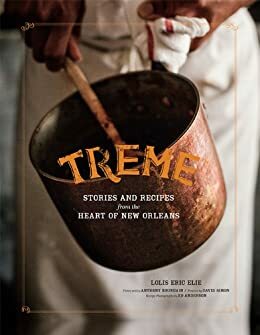 The new cookbook Treme: Stories and Recipes from the Heart of New Orleans is a perfect complement to the HBO television series. For a chance at winning Lolis Eric Elie's new cookbook Treme: Stories and Recipes from the Heart of New Orleans and a $100 Threadless gift certificate, leave a comment with the name of a television show, past or present, that would be the basis for a great cookbook. The winner will be chosen randomly at midnight ET Friday evening (August 30th).